‘Get ready for ‘The Terror of the Museum‘!’, warned us the bug expert leading the workshop. Then he put on a pair of thick gloves and started to rummage carefully in a cardboard box. Up to that moment he had already shown us and let the brave among us handle two different types of stick insects, a hissing cockroach from Madagascar and a hairy tarantula. What could the next thing be? The bug expert continued rummaging inside the box for a few more seconds, seemingly trying to scoop out something with his gloved hands. My anxiety levels hit a new high. 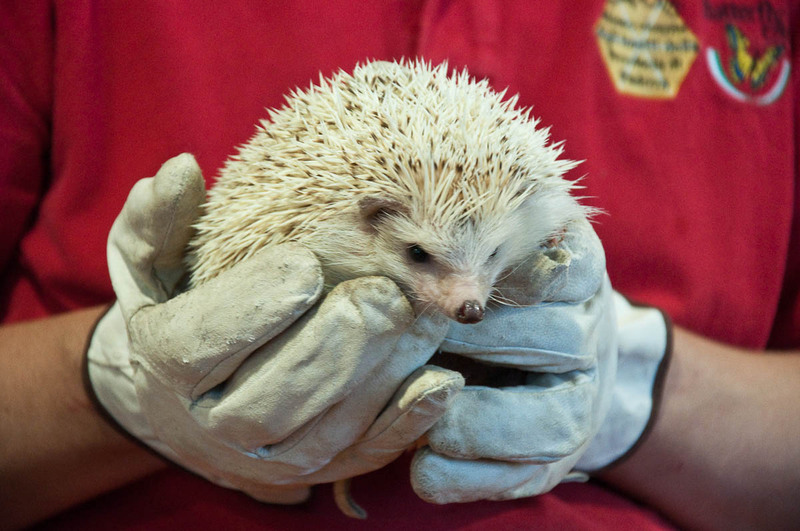 Then, in a flash he lifted his hands and showed us the cutest African hedgehog. Loud cheers, laughter and sharp exhales of breaths that had been held for too long filled the room. The workshop finished on a high note. 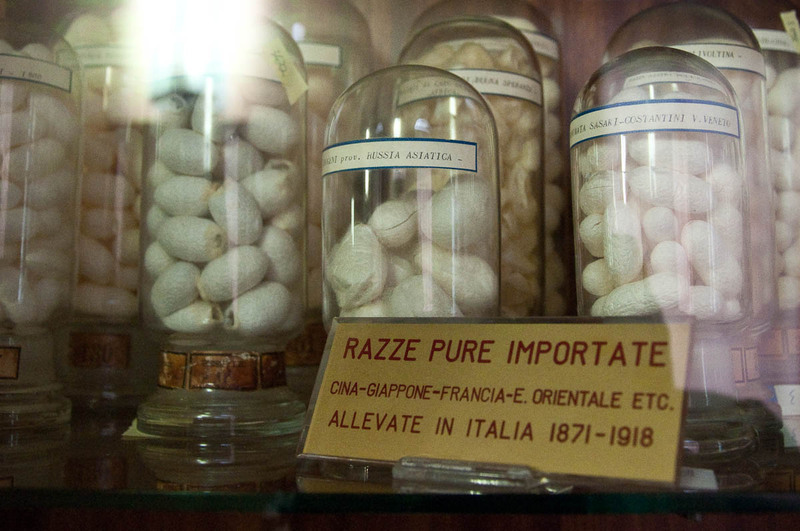 We were in Esapolis – the Living Museum of Insects, Silkworms and Bees – just on the outskirts of Padua. It was a grey and rainy day. Miserable by all accounts. Italy is not much fun when it rains. In a country where everything seems to be geared towards spending your time outdoors, rainy weather can wreak havoc with the best laid weekend plans. Yes, we could have gone to a museum of fine art, enjoyed a guided visit to a historical villa or read the newspapers over a cup of fine Italian coffee in a cafe which is older than Italy. But with an active toddler to entertain, we needed something a bit more exciting. Ideally an indoors place able to keep our fickle attention spans suitably engaged and where our excitedly raised voices wouldn’t be shushed down. It was quite a lucky thing then that we found Esapolis. 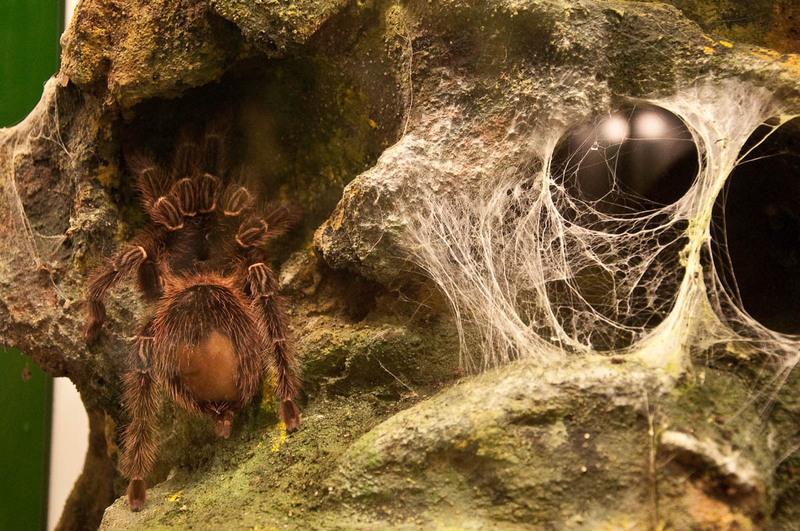 and the scary-sounding (and looking) Brazilian salmon pink bird-eating tarantula. 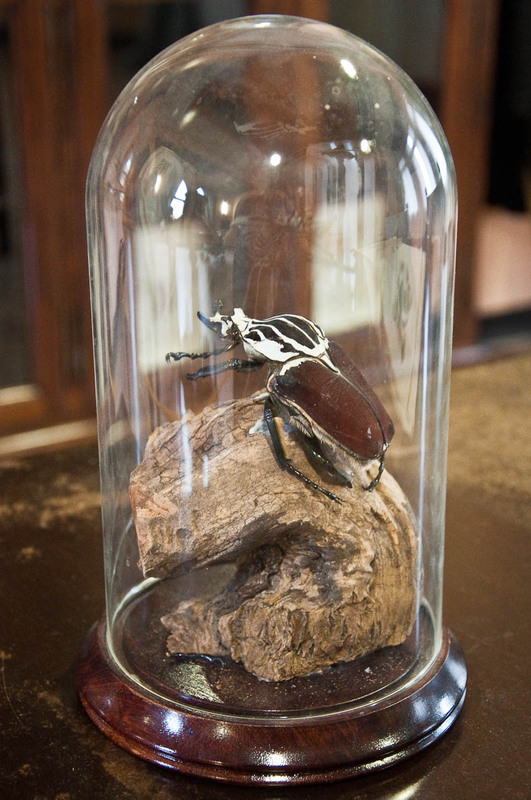 Exhaustive collections of pinned beetles and butterflies from all over the world and arranged in glass cases serve as a backdrop. In short, if you are interested in a particular bug, you are bound to see it there. And if you are not, then it is highly likely that by the end of your time in the museum, you will be. Such is the infectious effect of seeing the insects, the arachnids and the bees in their natural environments, reading the many informational boards all over the place, engaging with the fun interactive tools and, last but not least, taking part in the hands-on meet the bugs workshop. 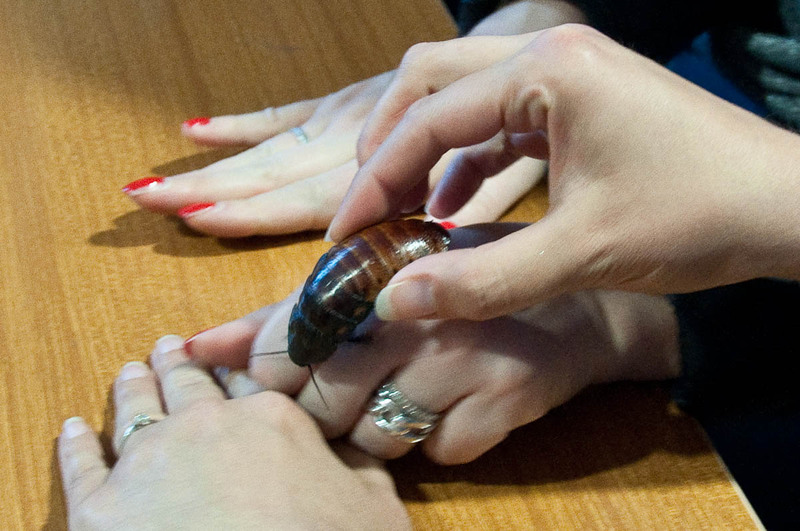 I should know, I touched a hissing cockroach from Madagascar after all. Something I didn’t consider possible up until that point. The museum is housed in an ochre-coloured large building on a busy road in Padua. We left our little red car nicely tucked in the large car park for visitors at the back and ran for cover from the rain to the museum’s foyer. 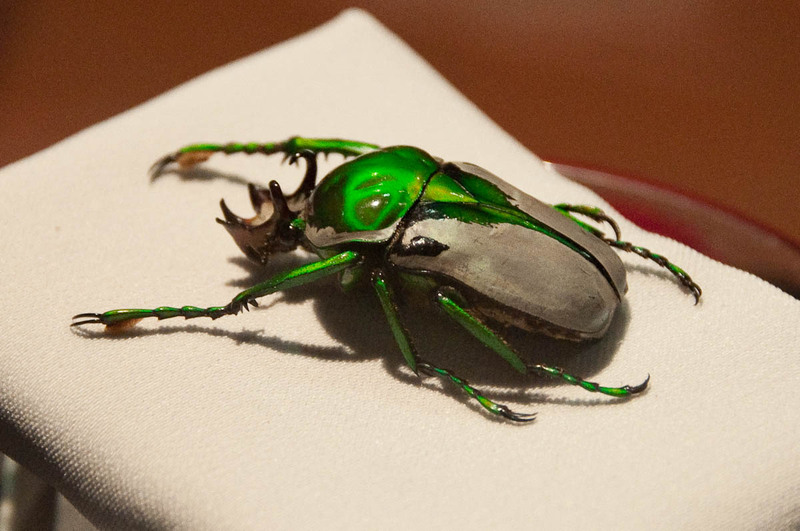 Inside it we were greeted by a model of a stag beetle magnified, what it seems like, thousand times over its real-life dimensions. A couple of large screens high up on the wall showed people laughing and pulling funny faces with a video montage of human-size bugs running behind them. Later we found out that this quite entertaining show was streamed live from the photo booth on the first floor of the museum. So, if you are tempted to go in it and pretend that you are fending off large scary bugs, totally do it! It is great fun and the people in the foyer will enjoy it, too. The full price ticket cost nine euros and there were several reduced options, too. The hands-on workshop was an euro extra per participant (the best euro I have spent this year so far!). And then we were free to explore. and a couple of snakes. I didn’t go too close to them. 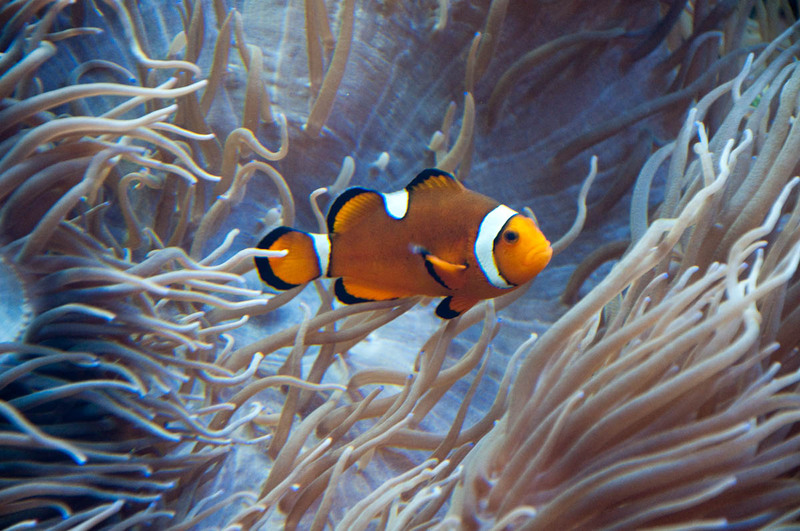 There was even an aquarium with tropical fish, like the now compulsory for the cute effect clownfish and its blue tang friend. 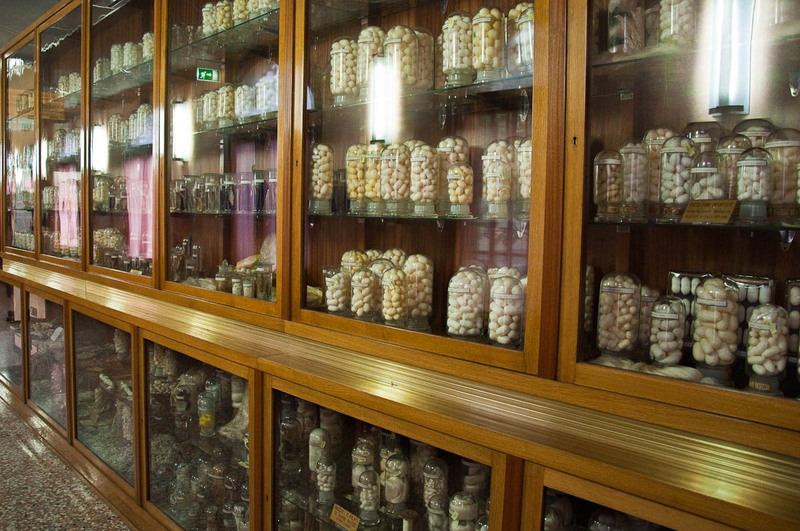 I was really intrigued by the huge display cupboard in the adjacent corridor which contained a large collection of silkworm cocoons. Who knew there were so many different varieties of silkworms?! 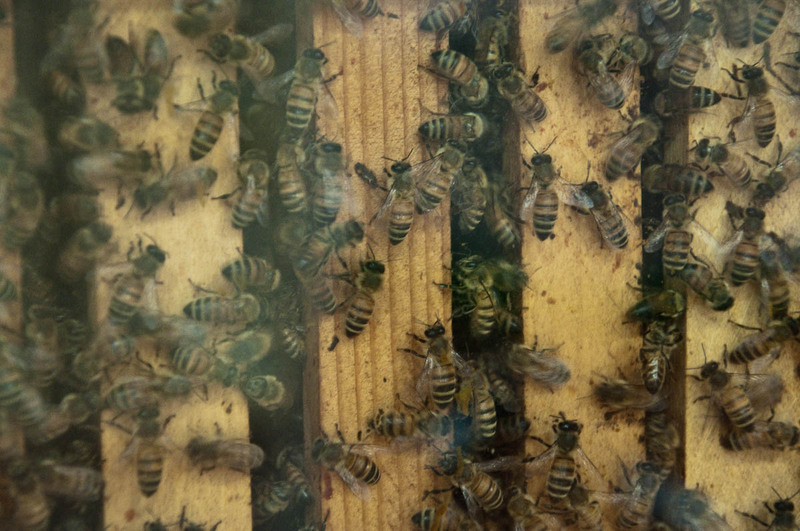 Next, we popped into the bee room where a beehive was abuzz. The beehive was covered with thick glass, so that the visitors could observe up close and personal the bee colony hard at work. The bees were flying in and out through a special opening in the wall, and we saw several of them doing a little dance to show the others in which direction there was pollen to collect. The rest of the room was taken with tools and equipment used in apiculture. As the cartoon Maya the Bee is currently very popular at home, obviously we spent a long time in this room, observing the bees and trying to spot Miss Cassandra and the Queen among them. More living insects and colourful pinned butterflies were waiting for us in the room next door. There I was particularly taken with this horse-head grasshopper. 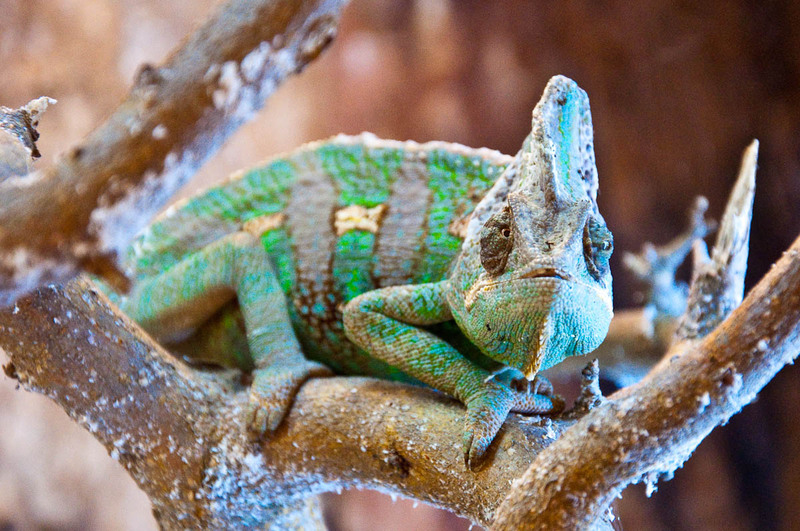 He really looked just like a branch! Just then a bell rang and interrupted my thread of thought which was about to get really philosophical and deep. A female voice announced that a 4D film was going to be shown in the movie theatre room. So, we quickly found the way, picked a pair of 3D glasses each and sat down in the comfortable seats. If you don’t speak Italian, don’t worry, as the film shown was not in any specific language. The story was cute. A dog dreamt of being a bee, so he promptly turned into one, learned to fly, had some adventures and some misadventures along the way. I have to say though that it looked like the pair of glasses I had picked was not very good, as the 3D effects appeared somehow blurred. On the other hand, the 4D effect (provided by an air-tube attached to the seat, which would blow air at us at particular moments in the film) was great! Now, as it transpired, one of the great things about Esapolis was that it had a lunch room inside and tables and benches outside for you to have your lunch in/at. So, definitely bring a picnic or some nibbles with you when you visit. Well, hindsight is a wonderful thing, but we hadn’t brought any food with us apart from an apple and some chopped peppers as mid-morning snacks for our little daughter. In all honesty, we had expected to spend no more than an hour, hour and a half in the museum, and it was already lunchtime and we were still there with lots more to see and do. So, I felt a bit bad when the Italian mum who was sitting next to us in the museum’s lunch room took out of her bag the two most perfect healthy-looking sandwiches and gave them to her children to eat. Usually, this would be me, but not on that occasion. I got out our apple (good! ), chopped peppers (top marks! ), some grissini (ahem, ok!) and a couple of crisps from a packet from the vending machine. The shame! But, whaddayaknow (I tried to make myself feel better), crisps are a perfectly legitimate snack in England, some people there even consider it healthy and give their children crisps sandwiched between two buttered pieces of bread. No, it didn’t work! I felt like the biggest failure of a mum. So, honestly, prepare yourself. Bring some nice nibbles with you! The lunchroom was a super noisy and lively place on account of a kids’ sports team visiting the museum. Just opposite the vending machine there was a tornado machine and, intrigued, I decided to give it a try. Basically, you had to feed the machine 2 euros, go inside the glass cubicle and as soon as the door was shut, a strong wind would start blowing inside reaching a silly speed and making terrifying howling noises. As I was battling with my tornado-whipped hair, trying to get it out of my face, suddenly I saw a three-person deep wall of Italian kids, all dressed in identical sport uniforms, fully surrounding the machine and watching with interest what was happening to me inside. So, yes, that was embarrassing. With lunch over, we explored the rooms on the first floor of the museum. There were even more glass displays with live insects and spiders. There were several interactive tools, like a photo booth (a different one from the one mentioned above) where you could have your picture taken and then see how you would look as a butterfly, a grasshopper or a fly, which was cool. 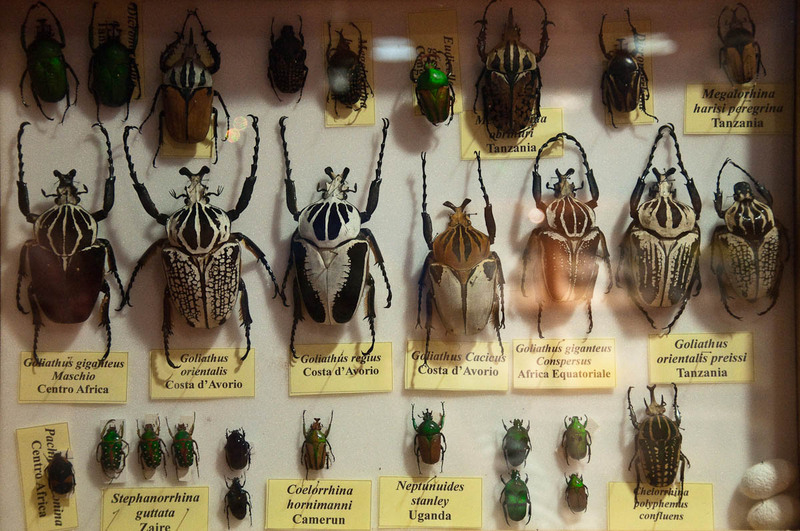 There you could also learn about Antonio Berlese – one of the most notable entomologists in the whole world. 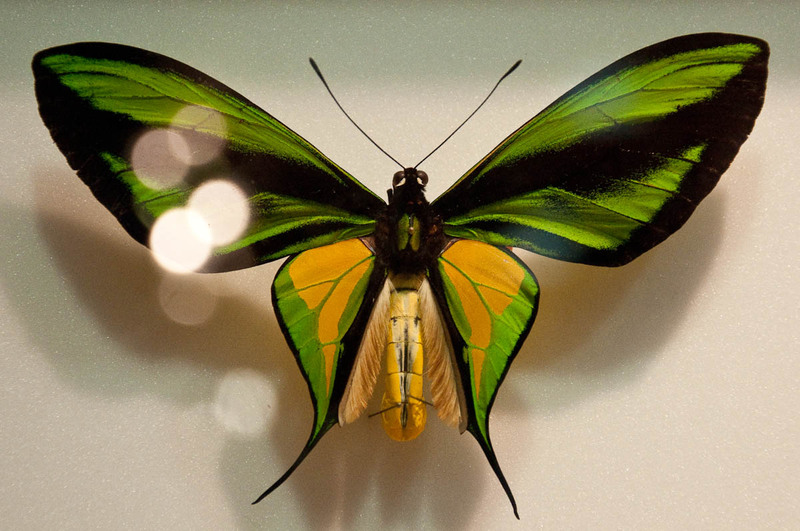 Born in Padua in 1863 he dedicated his life to the study of insects and acarids leaving a vast legacy of articles, illustrations as well as the discovery of hundreds of new species. The most amazing room in Esapolis however was awaiting for us in the corner of the first floor. 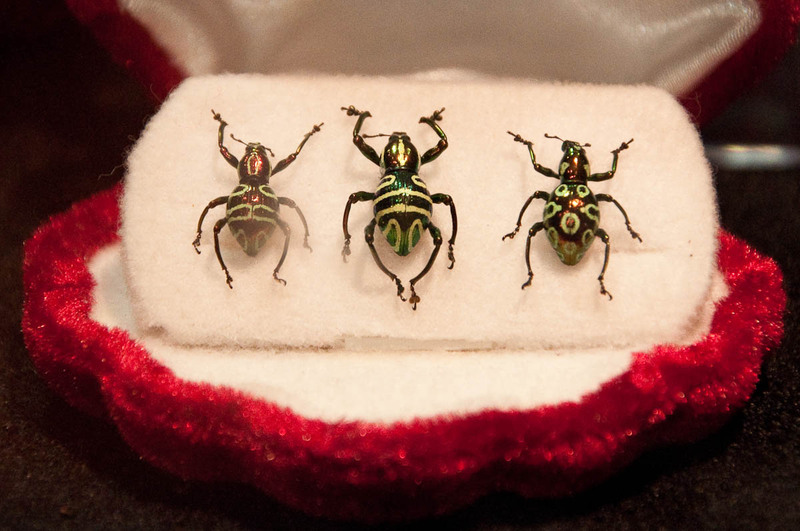 It was set up like a jewellery store with several displays in which beetles and insects were arranged like priceless adornments. 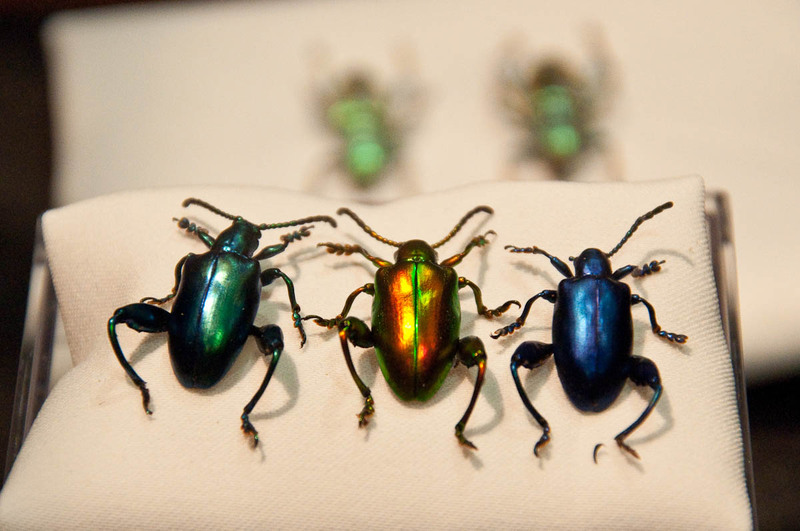 Their colours were so amazingly intense, so out of this world, that initially we thought that the specimens had been treated with something to make them more jewellery-like. Just then, a gentleman passed by and seeing us engrossed in the stunning displays, asked us kindly if we were enjoying our visit to the museum. 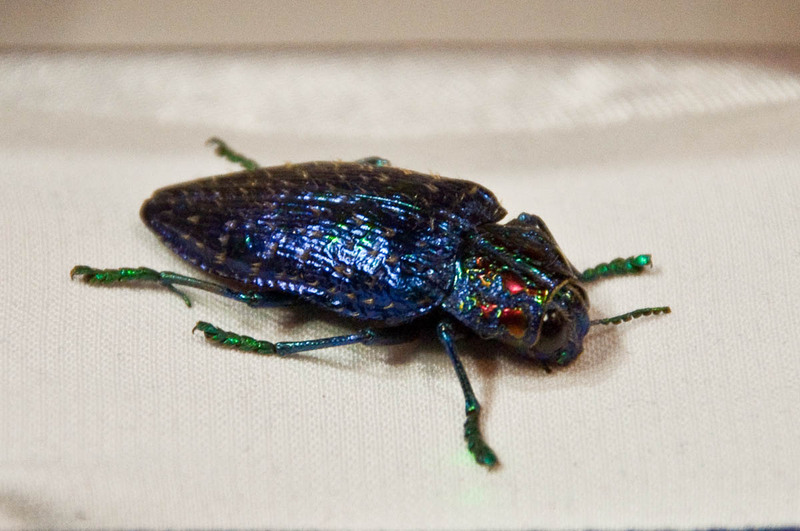 We asked him several questions about the beetles and the butterflies around us and their intense colouring. 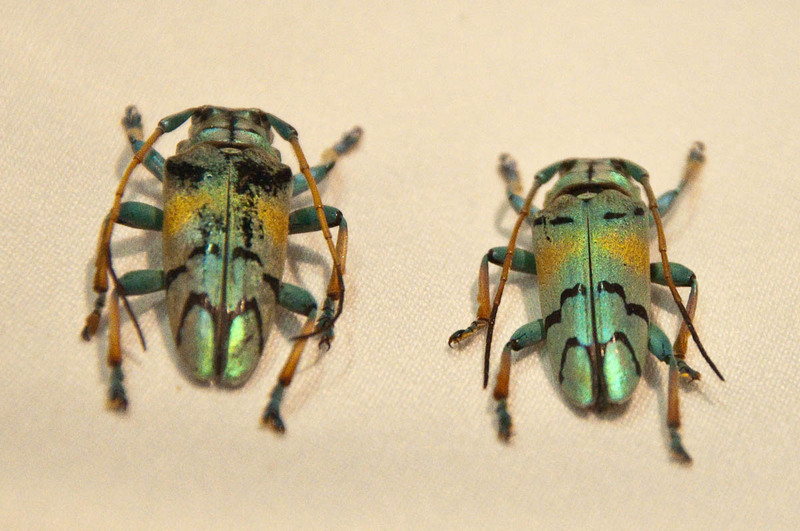 It turned out that they had not been treated with anything, these were their natural colours, stunning as they were. 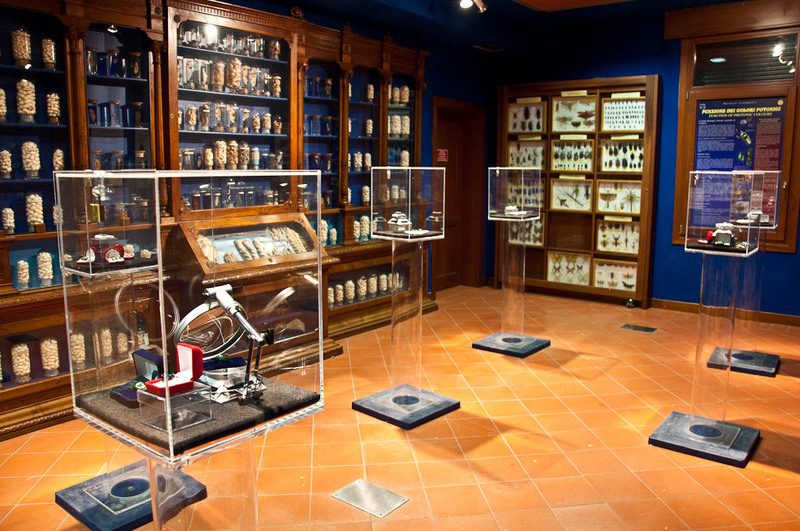 The aim of the exhibition set up in this special room of the museum was to show the seven wonders of the world of insects and true to this, we couldn’t stop marveling at the creative force of nature. 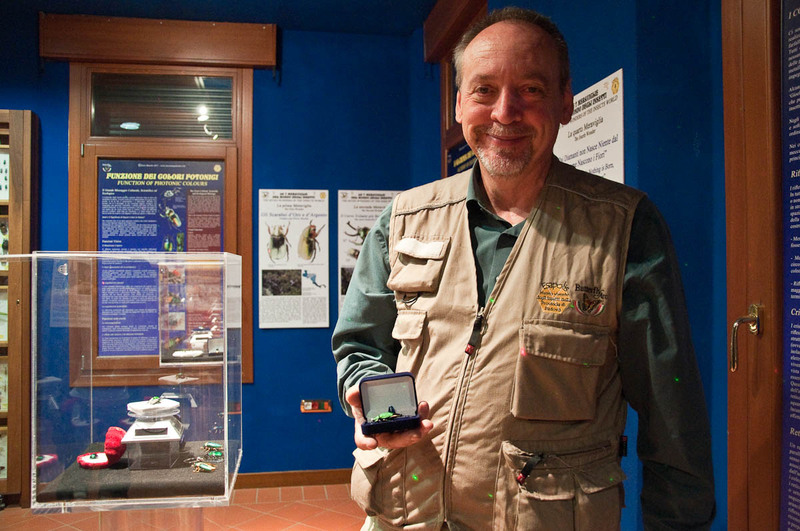 It turned out that the gentleman who had so kindly answered all our questions and in the course of our conversation had talked to us about the photonic colours of the beetles and several other intriguing and amazing concepts of the insects’ world, was none other than the museum’s director and professor of entomology – Mr. Enzo Moretto. 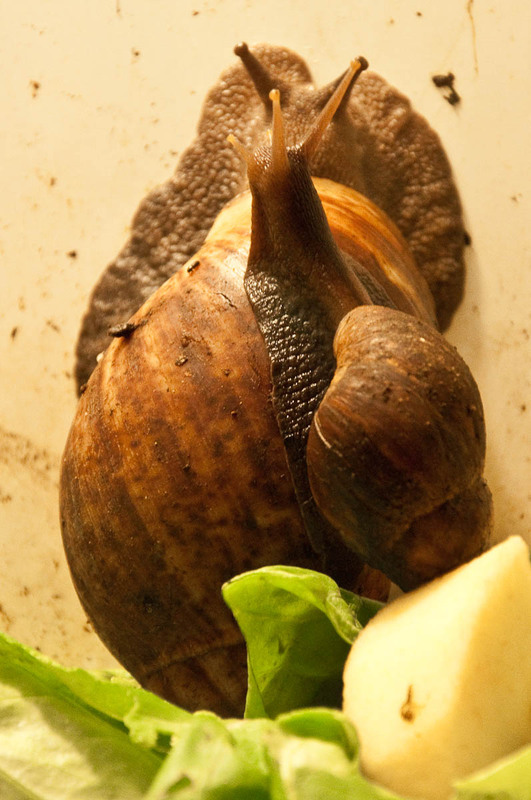 He shared with us so many amazing facts that for me insects forever stopped being the annoying little things which bite you in summer and invade your house when, inadvertently, you leave a slice of fruit uncovered on the kitchen worktop. 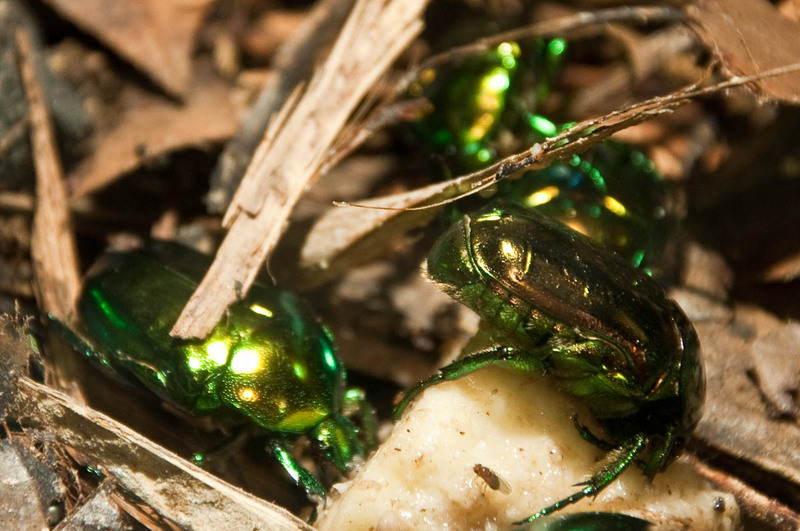 There is a whole world made of tiny creatures out there and it can give us a lesson or two in adaptability, endurance and even how to better capture sunlight and convert it into thermal and electrical energy. One very curious thing Mr. Moretto told us was that during a recent expedition in the Alps, he had been part of a team which discovered a new type of earthworm reaching 60 cm in length! 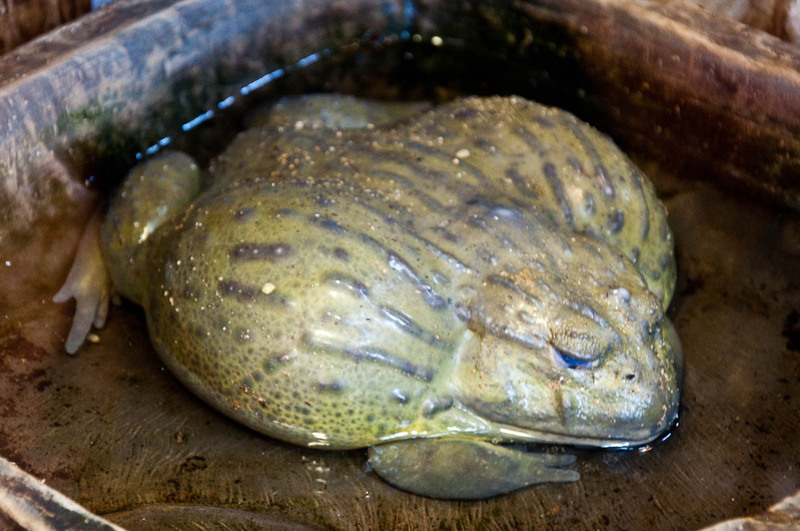 Oh, come on now, don’t look away in disgust. Think about it! If the worm being this big had managed to remain undiscovered for so long, just imagine the wealth of insects and animal species who may still be unknown to us. 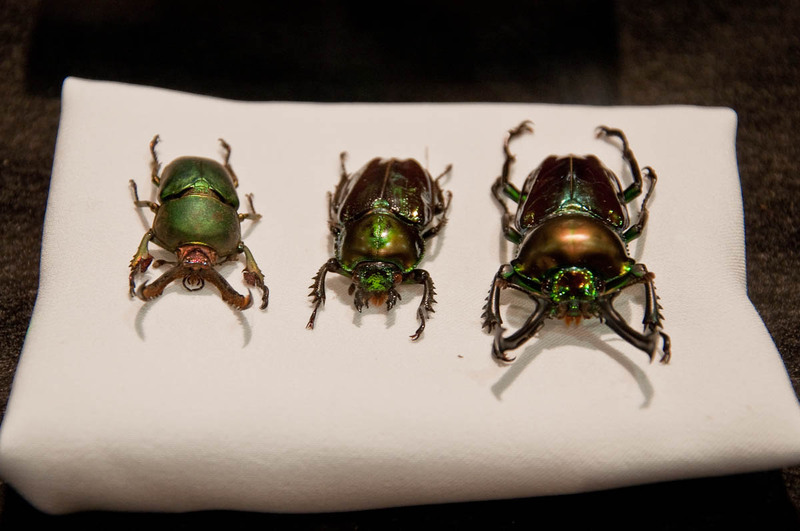 It was time for the hands-on bug workshop. We joined a lively group of about 30 Italians in a room with three long tables. 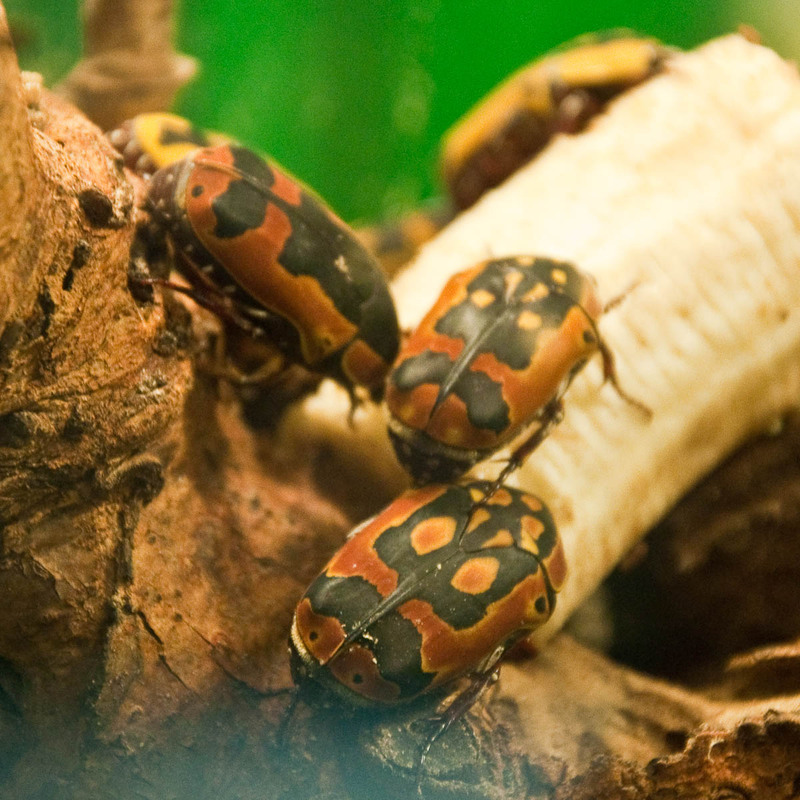 We huddled around them, half-apprehensive, half-eager to see what types of bugs we would be handling. Well, we had some close encounters with two types of stick insects, a hissing cockroach from Madagascar and a very soft to the touch tarantula. Followed by the cute hedgehog I already told you about. It was a lot of fun. The entomologist leading the workshop made it a really great experience by sharing with us many interesting details about the animals in his care. It was all done in Italian, but we were able to follow and understand most of the information. I even had the courage to ask in Italian how old the tarantula was and we all were gobsmacked by the answer: 8 years. Just imagine! No wonder some people keep them as pets. 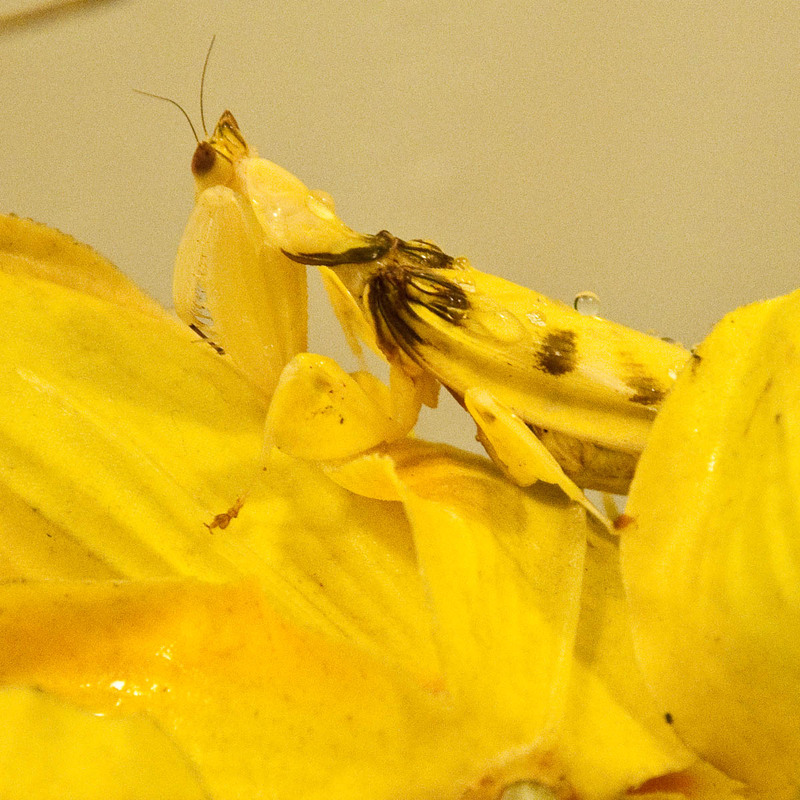 Every new insect we were shown was met with cheers. 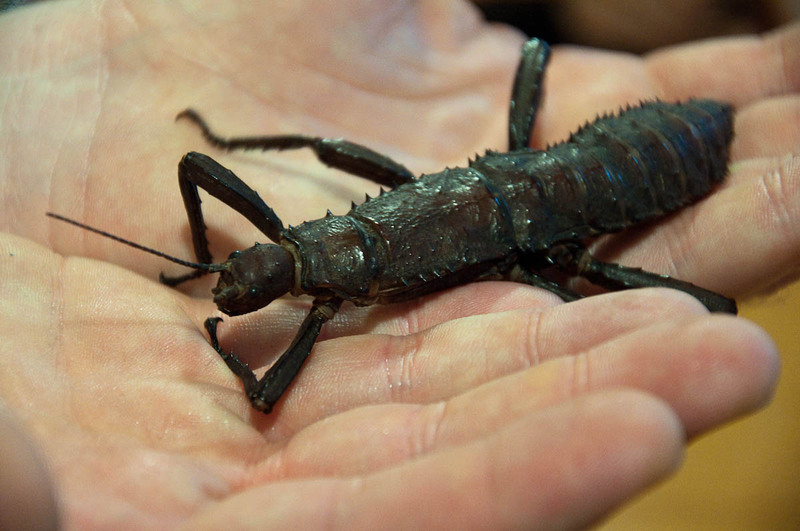 People had their cameras and smartphones out wanting a memento of the moment they had been brave enough to hold a hissing cockroach or tickle a tarantula. Following the instructions of the entomologist we carefully passed the insects from hand to hand. 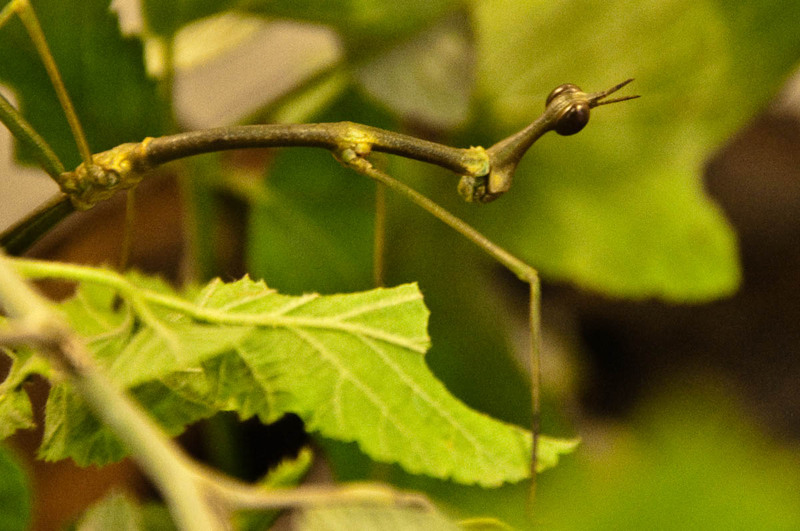 Did you know that you can’t just grab and pluck up a stick insect?! If you do, it may lose a limb or two. 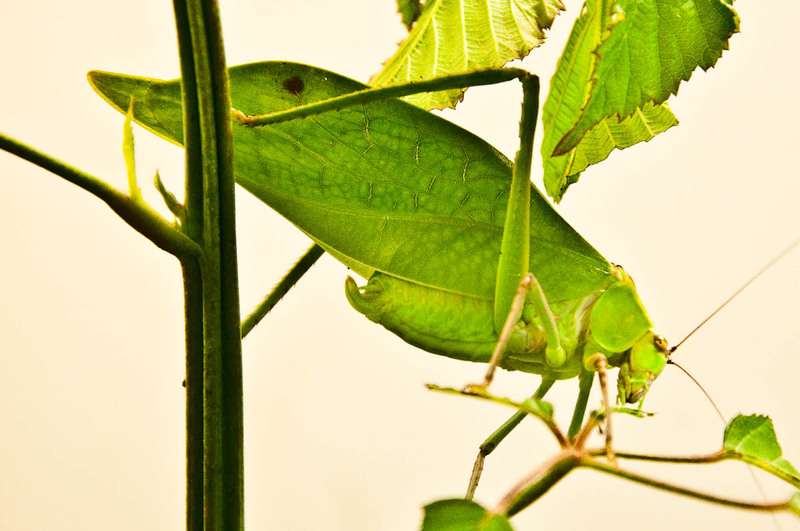 Instead, you need to gently tickle its body and the bug will move forward on its own accord. We also saw how the tarantula makes its cobweb. It was actually amazing to see the animal produce two hair-thin and sticky threads which it would then turn into a hunting ground. Don’t worry though (we were told), the tarantula wouldn’t normally attack a human, as it doesn’t see him as prey due to his large size. 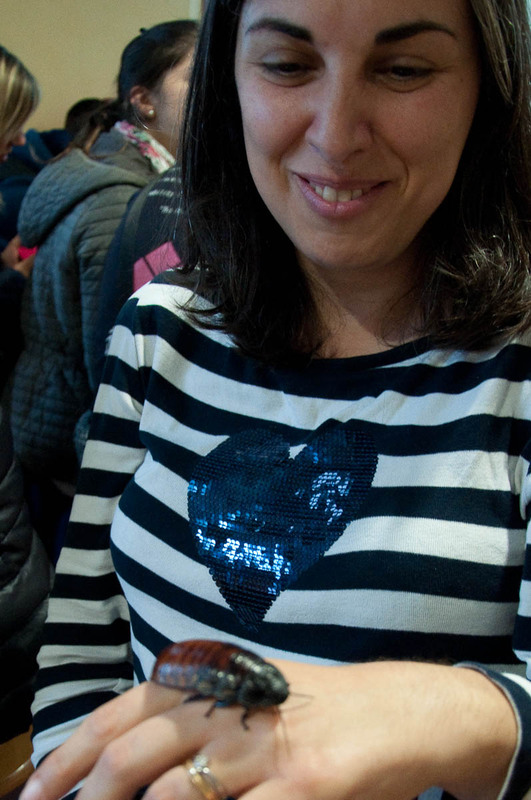 In any case, the tarantula the belly of which we touched had been at the museum for many years and was so used to working with people that it was known for its gentle personality. Too soon it was over and it was time for us to leave. I don’t know how we managed it, but in total we spent five hours in the museum and they literally flew by. We left in great spirits, feeling like it had been a very productive day. It was both exciting and enriching. We promised ourselves that we would be back before long. Esapolis is a great choice for a day out with and without children. 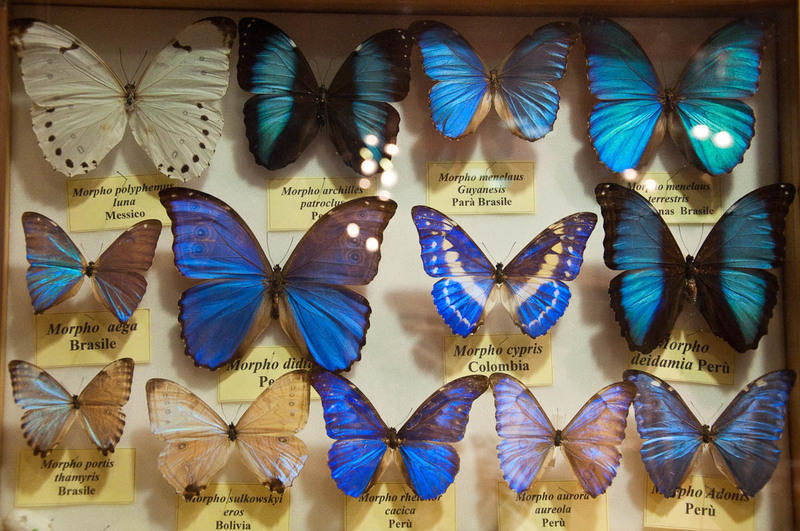 You can combine a visit to the museum with a visit to the Butterfly Arc in nearby Montegrotto Terme. I really enjoyed the time we spent in Esapolis and I can wholeheartedly recommend it as a must-do activity in Padua and Veneto. My only issue was that some of the displays were a bit high, so you need to lift your toddler up in order for them to have a really good look. Buggies are allowed in which was great. There are toilets, a lunch room, hands-on workshops, interactive activities and a souvenir shop. The museum organises all sorts of educational activities and days out for groups, too. There is a car park at the back of the building. Check Esapolis’ website for more details: www.esapolis.eu (although the English version of the website doesn’t seem to function at present). 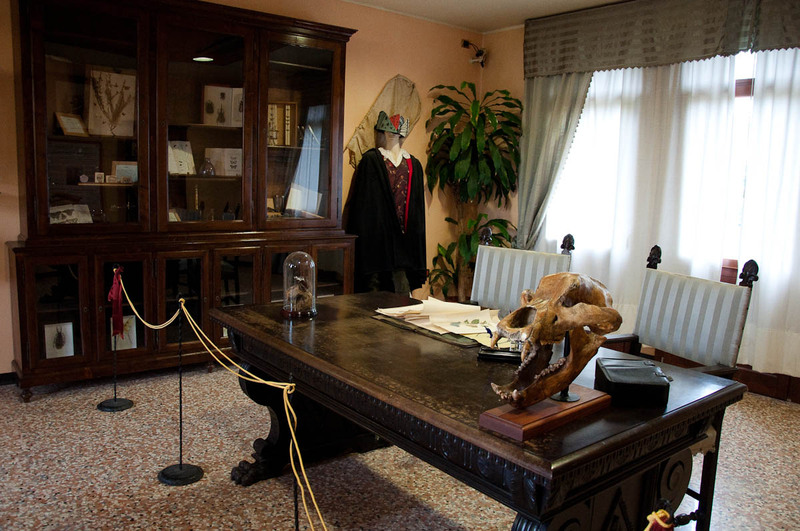 All displays and informational boards in the museum are both in Italian and English. Please, kindly note that I am in no way affiliated with the museum. We paid for our tickets and simply loved our time there. 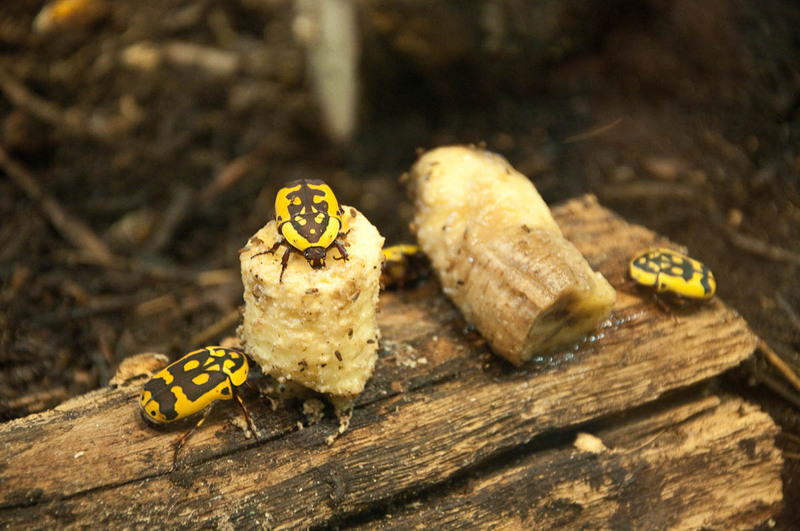 Have you been to an insectarium before? 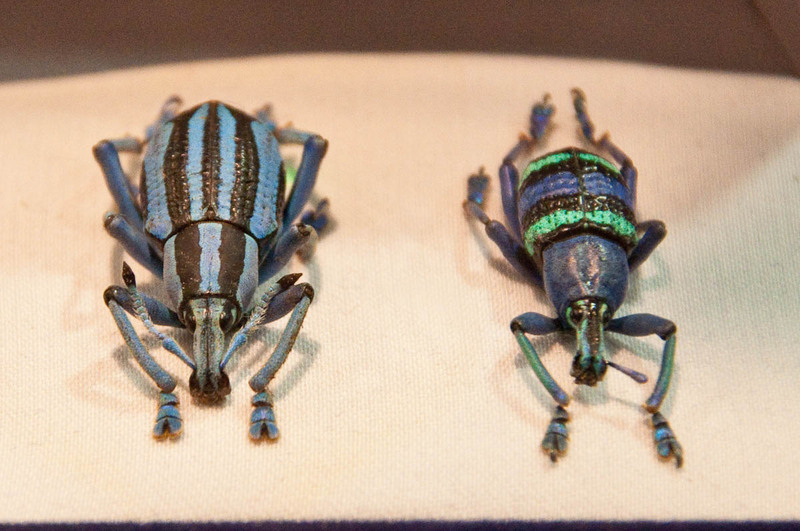 Do you like or hate insects? 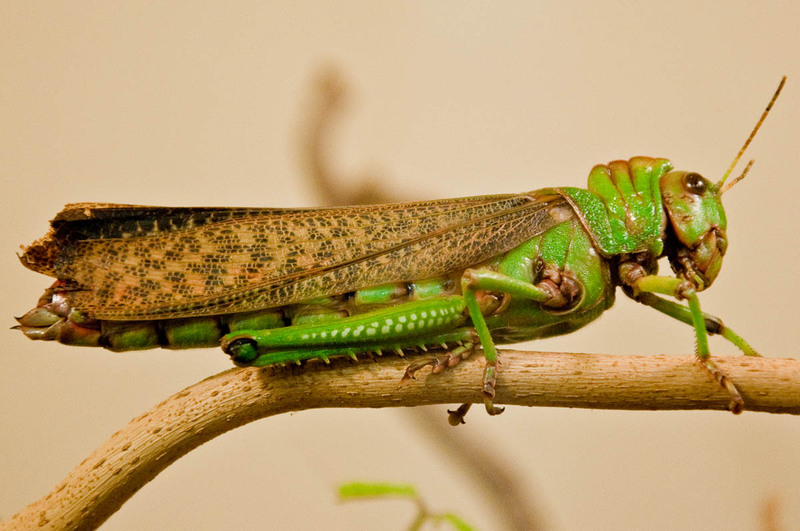 What is the most impressive insect you have ever dared touch? Let me know!